You may not think that mergers and acquisitions go together with engineering, but, in fact, Terracon has been providing clients with assessment and advice in this area for many years. Mergers are when two companies come together to form a new company; acquisitions relate to the take of over of a company by another company. In both cases strategic and equity buyers are interested in knowing what the financial, legal and environmental risks are relative to the target company. These buyers undertake due diligence to ascertain such risks and hire expert professionals to assist them. As part of our advisory practice, teams conduct due inquiry to discover whether there are environmental and/or structural risks associated with the property. This incorporates the liabilities associated with such risk into the economics or “calculus of the deal” as well as properly allocating risk to both the buyer and seller. In one example, Terracon provided environmental advice to a private equity firm for an acquisition of a retail business. The seller would ret ain ownership of all of the real estate on which its business operated. While the business was profitable, the real value or “secret sauce” was the real estate. The team developed a strategy in which the client would acquire the business and all of its real estate holdings. Then, the client would sell the real estate holdings in a sale-leaseback deal with a real estate investment trust (REIT) to attain capital for investment in the growth of the business as well as distribution to investors. As real estate was the primary driver, the focus was to clear those hurdles which prevented transfer of a property to the REIT or otherwise impaired its value within the REIT deal. The team determined the primary costs associated with the environmental impairments to the real estate, including legacy groundwater contamination, storage tanks and asbestos, and recommended a schedule to address these items. The client came to terms on an agreement with the seller, and, also, as a future seller to the REIT. The deal successfully closed and the team worked post-closing with the client and REIT to address the scheduled risks and closeout the issues. Equally important in M&A advisory practice is assessing the environmental compliance of a target company. Many of our M&A clients are in the manufacturing business, whether as strategic operators or investors. Recently, Terracon was retained to provide environmental advisory to a private equity buyer of a business involved in chemical compounding which including coating formulations. The team performed an environmental compliance assessment of the company’s operations. Through review of the process and records the team determined that the facility required an air permit for its mixing and compounding operation. The team then determined whether the permit issues would bottleneck the business operations and thereby limit future growth and value, and also developed a compliance plan and regulatory approach. In the end, the team structured a deal whereby the seller was financially liable for the cost of obtaining the appropriate permit, any levied fines for non-compliance and, most importantly, any necessary control equipment for obtaining the proper permitting. The transaction successfully closed, and the team assisted the new company post-closing in achieving its environmental compliance goals. 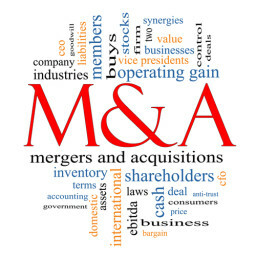 Being part of an M&A deal can be very exciting through professional interaction with sophisticated decision makers, and lenders and their respective counsel in a fast-moving, high-stakes environment. Terracon continues to provide clients with the professional knowledge-based advisory in the areas of environmental, facilities, and geotechnical services.